If you are looking to share algorithms privately or publish algorithms on behalf of an organization, such as a university, private company, or open source community, then our teams and organizations feature is what you are looking for. The following sections cover the basics of using teams and organizations on the Algorithmia platform, including how to create and invite users to an organization, how to approve published algorithms, and how to check your organization’s earnings. The profile overview provides a rich source of information about an organization. 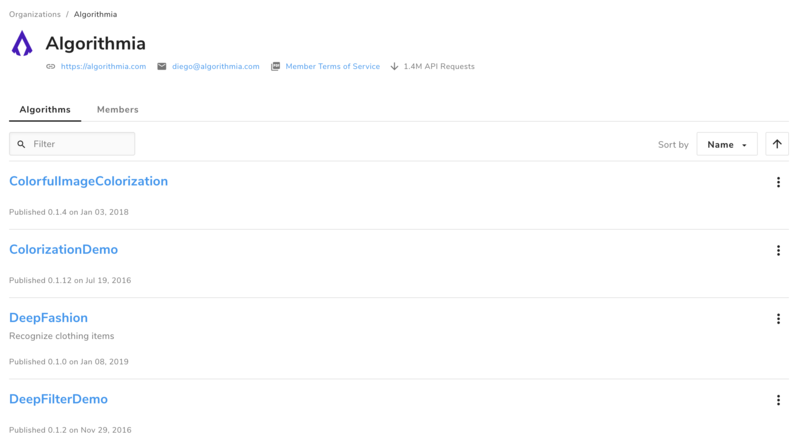 In the overview, you can find the name of an organization, its members, and a listing of its algorithms. If you are the owner of the organization you will also be able to add and delete members as well as edit basic information regarding the organization. Publishing algorithms under an organization requires approval from the organization owner before they are made available to other users in the marketplace. All earnings from algorithms owned by an organization are rolled up into the organization’s account. You must be invited into an organization by the organization owner. 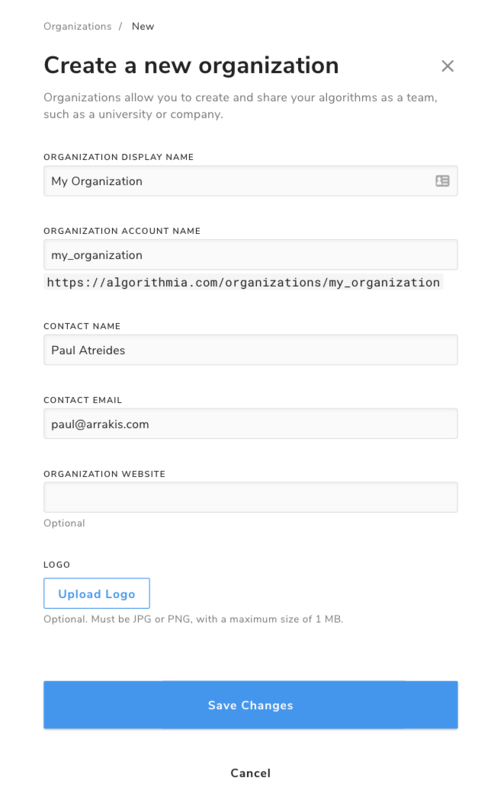 Organization Account Name: This will determine the URL where your organization will be showcased. It is required that this be all lowercase letters, no spaces and no special characters. Organization Full Name: This is the organization’s full name. Contact Name: The primary contact for your organization. Organization Email: The organization’s primary email. Url: Your organization’s website. This property is optional. Logo: You may optionally add an image to brand your organization. 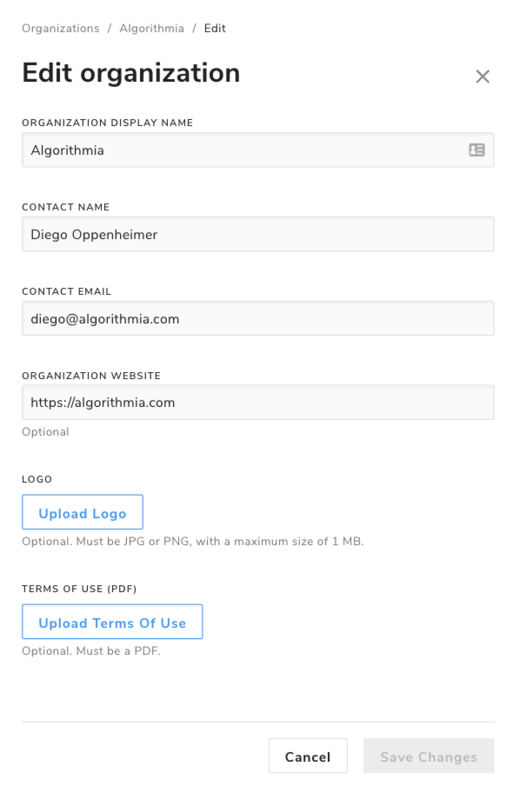 You can invite users to your organization either by using their Algorithmia username or by providing an email address. 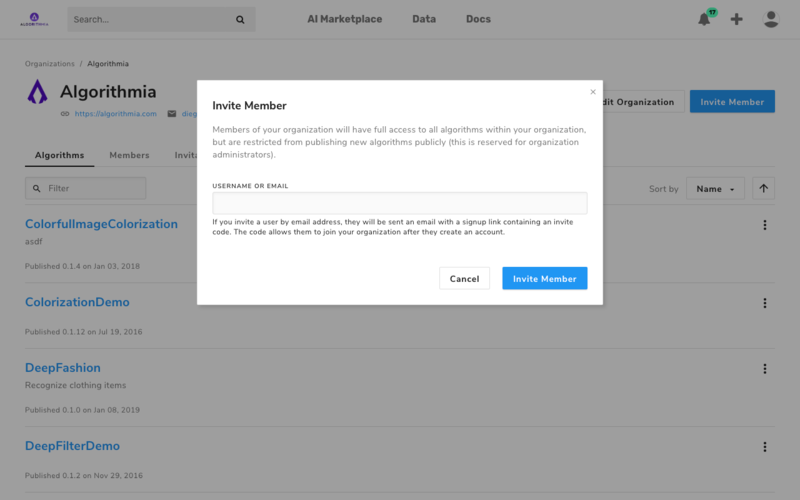 If you invite a user through email that is not part of the Algorithmia platform, they will receive an email invite to signup and join your organization. Once members of your organization have created an algorithm and submitted it for approval, a purple indicator with the version to be published will show on your organization profile under algorithms. Note: Every new version of the algorithm to be published will require independent approval. 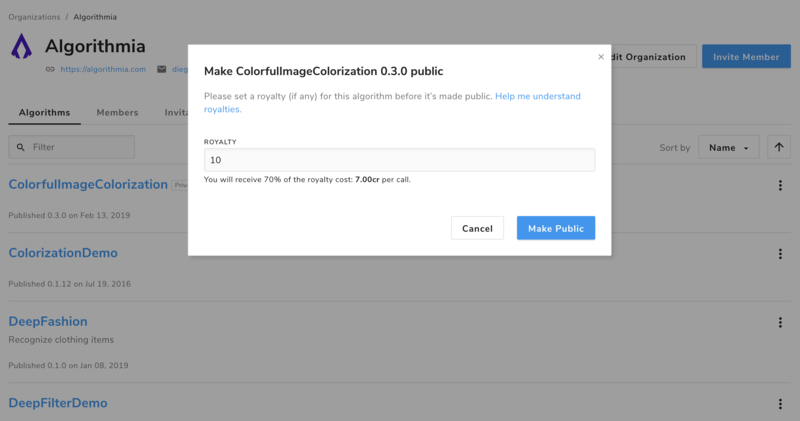 At this time you will be able to set the royalty (if any) for that algorithm and finalize publishing to Algorithmia’s marketplace. 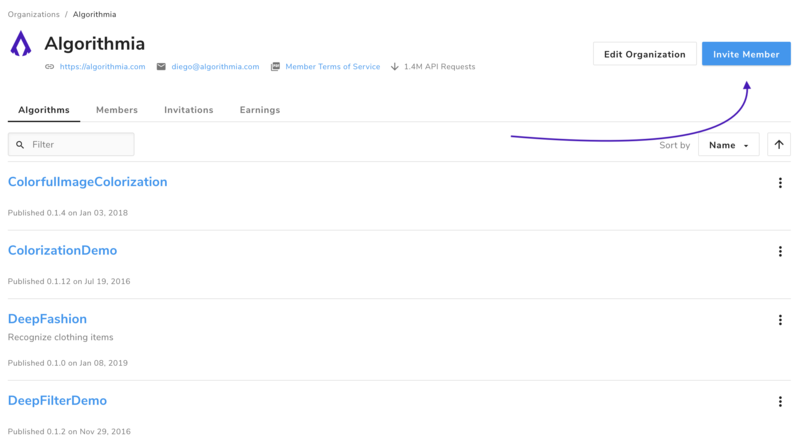 To view your organization’s earnings and a break down of all algorithms that are called, simply access “View Earnings” on your organization’s profile.